To offer through our courses a responsible effective and adaptable academic and skill training employment opportunities and entrepreneurship for flourishing economy. This will result in an independent better life for everyone in the rural areas of the Northern Cape. 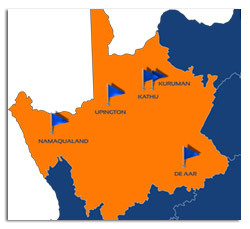 Northern Cape Rural FET College strives to provide affordable, accessible vocational community education through training to empower people with quality knowledge and skills to uplift and improve life in the community and to make an economic contribution to the benefit of our rural area. These are the areas of the college performance that are critical to the achievement of the mission. These areas describe the direction of the college. It is seen as the outcomes to be achieved by the college. The opportunity to achieve personal, learning and employment goals NCR TVET College creates opportunities for students and staff to explore, test and fulfil their potential. NCR TVET College fosters a resourceful and inventive culture which values achievement.